As a martial artist it is often believed that YOU put in the hard work YOU pass the gradings & YOU turn up for training … so surely that means to be the best YOU can be it’s all down to YOU??? As a sport/hobbie/lifestyle martial arts cannot be done with out a huge team effort and support. Without the love, support and encouragement from your parents & family you wouldn’t be the person you are today, and it is that person you are today which makes you the martial artist you are today!! Your parents raised you, fed you, clothed you and set you on your way towards your goals and dreams in life. Martial Arts helps to add life skills into your makeup, such as; focus, discipline, drive, determination & confidence. With the support of a strong, loving family a martial artist has the best chance possible to smash life’s challenges and obstacles. An instuctor helps you build the door, they open it but it’s down to you to stride through it! Your instructor doesn’t just teach you to defend yourself, keep fit, pass grading or kick higher. They also give you goals to aspire too. They inspire you to become the best you can be, both on and off the mats. Your instructor shouldn’t be just seen as the person at the front of class, they should be seen as a role model, someone who can help you improve, achieve & succeed every time you step on the mat. 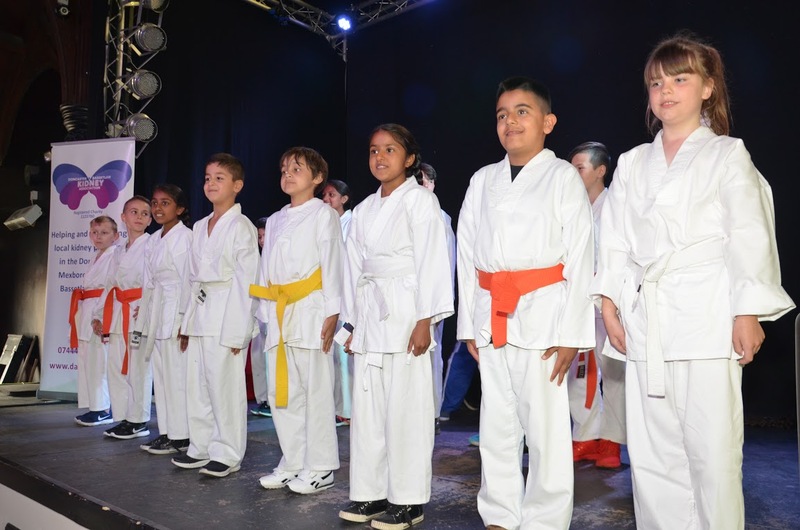 They have their own martial arts journeys and they want to make sure yours is as successful & fulfilling as theirs. Want to know how your instructor became the martial artist they are today??? They had an awesome team!! You’re not on the mat on your own, there are people training with you who are on the same journey as you. You cant possibly reach Blackbelt and beyond without the friendship, support, competition & togetherness your class mates give you. Imagine training your Sparring technique without a partner. Imagine having a pad workout without a pad holder? … it just wouldn’t work!! Whether it be physically or mentally your class mates support you and your journey each day, just like by being on the mats and being yourself you are helping and inpsiring others around you too!! Martial Arts the best Individual Team Sport there is!! Tom Thorpe – 4th Degree Blackbelt & Chief Instuctor at Endeavour Martial Arts. WANT TO BE A PART OF OUR TEAM? ?